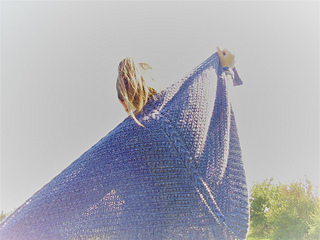 I created this shawl because I wanted a classical looking triangular shawl to wear during fall. This triangular shawl gets its great texture by alternating rows of ribbing and garter stitch. It is adorned by a nice little cable that goes all along the top edge. It has also a larger cable on the spine. It is so squishy you will want to wear it every day ofthe cold season. 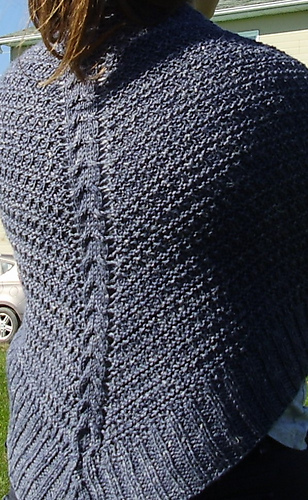 The shawl starts in a special way to include the cable. 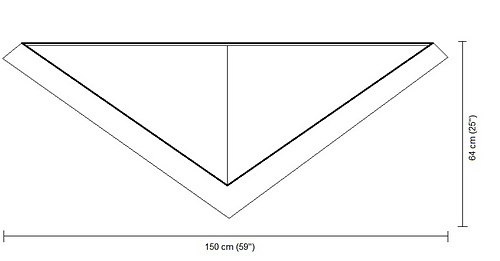 The pattern is written in english with a chart for the body of the shawl.